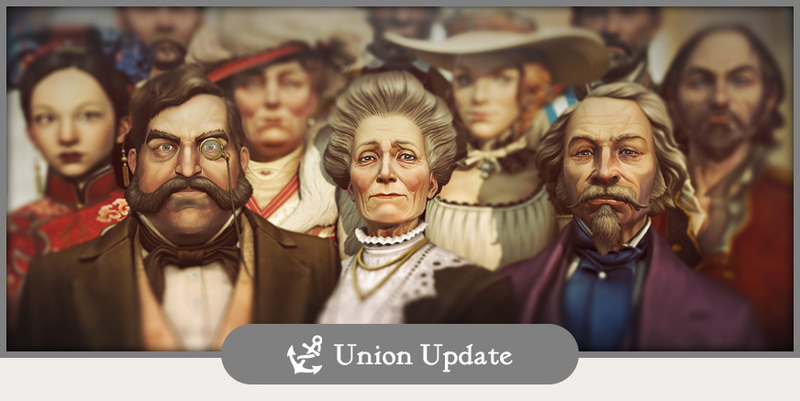 Next Post DevBlog: A message to the Union! I would prefer that the beta ends with a comet…or perhaps a Volcano destroying the world, The Victorian Age is a battle of science against nature after all. Great lineup of 2nd party AI characters. Looking forwards to meeting them soon! I’m impressed with this lineup. I don’t usually play with 2nd party AI characters (usually every now and then when I want a challenge, or some company. ), but with this interesting lineup, I’m more curious to get to know them more! I’ll be sure to check out the open beta too! 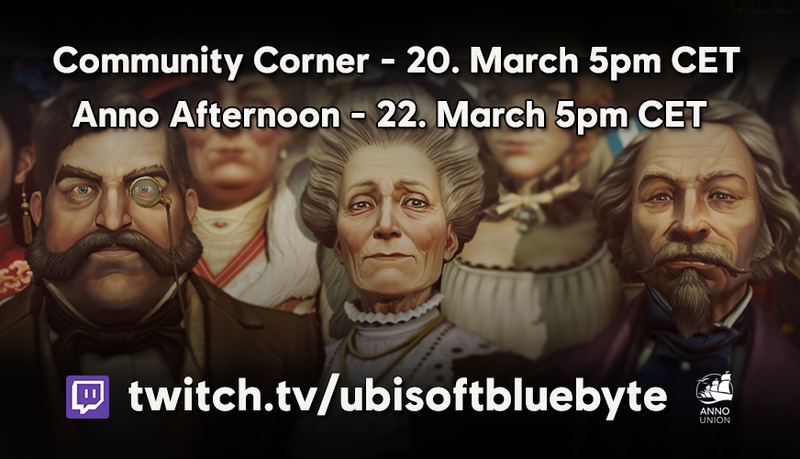 Also looking forwards to the streams this week too. I won’t make it in time due to the large time difference between us. Though I’ll be sure to watch them even after they have aired. I really enjoy them, even the German ones too. I don’t speak, but I enjoy watching to witness more of the game. Which I really want to play so badly. If only April can come any faster! “If we start the game with the flagship. Be it the regular one, or the pre-order one. If later in the game you lose your flagship. Be it to pirates sinking it, or failing a expedition. Will there be a way to get another replacement flagship? Because I know for Anno 1404, if you lose your flagship for whatever reason, you can always buy another one from Lord Richard Northburg. Will there be a NPC who will offer up a replacement flagship for sale? Should you lose yours in Anno 1800 for whatever reason? Or will the flagship be lost forever, and you cannot get a replacement? Or will the sailing ship shipyard allow you to build only 1 to replace your lost flagship? I won’t be able to make it for the streams when they will be live, but I’ll be sure to watch them after they have aired. I also hope that I can get my question answered too! And not related to the present blog, did you consider that when we play the open beta in April we may want to continue the same game (session) after we buy? I agree, it would be nice to be able to continue game from open beta if that is possible. If not I understand why. Hello “old” friend :P, yeah for me at least being on so many tests starting it on 12th, only to start it again on 16th is a bit much. I really want to reach that World’s Fair they have been talking about and I didn’t get to play with it. Yeah I agree so close together hate to have to restart again 4 days later. But oh well will see what happens.